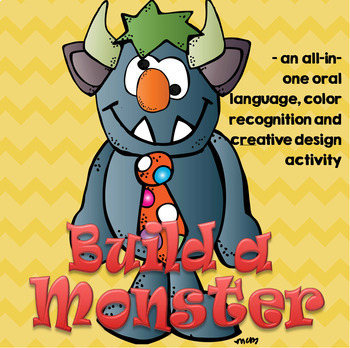 This is an engaging all-in-one oral language, color recognition and creative activity. Use for a Halloween theme, or any time. 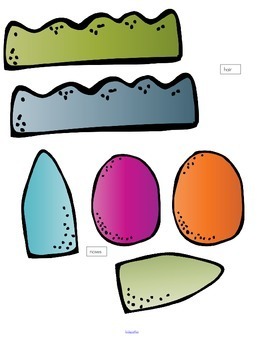 Directions and Set-up: This is just one way to use these great monster pieces – be creative. This is for a small group of young children. Leave the monster bodies pages whole, and cut out the other pieces. Have one body for each child, and enough other pieces to give choices with a few left over. Have the children sit in a circle on the floor, with the body pages spread out in the middle. 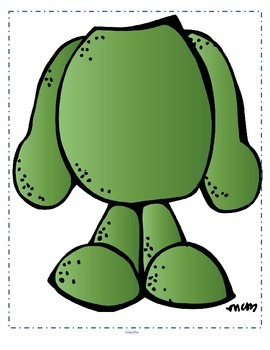 Each child chooses the one they want, taking turns saying “I would like a green (or blue or purple) monster”. 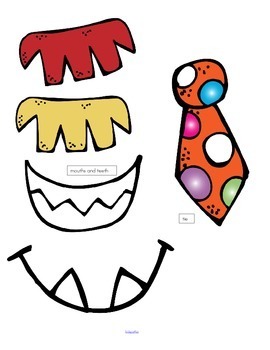 Then put the ears, then the horns, then the noses (or whatever order you want) and each child chooses “I would like an orange nose”, “I would like a pink and white bow-tie” etc until everyone has the pieces they want. They don’t have to match. They go to the table, and paste together their monster. Give each monster a name.